Paysafecard is a global market leader in online prepaid payment methods, and is a subsidiary of Paysafe Holdings UK Limited. Based in Vienna, Austria, the company is internationally active and present in 46 countries around the world. Prepaid means that you buy a Paysafecard at any of the +650,000 sales outlets worldwide, and use it to pay online at thousands of partners across a huge range of industries. It is a hugely popular choice of payment method used throughout the UK, and is especially favoured by online bingo players. It’s simple, quick and easy to use, and avoids players having to input any personal or banking details online. Unlike other forms of online payment, a Paysafecard works almost like cash. You simple purchase a card at an approved Paysafecard outlet, then once you’ve topped it up with funds you simply then spend them online using the unique Paysafecard PIN. The company was founded in 2000, and in 2013 the Paysafecard was acquired by British digital e-wallet provider Skrill. In 2015 the company formed the Optimal Payments group, and this then eventually was rebranded as Paysafe Group. With almost 20 years of experience in the payment industry, you canfeel safe in the knowledge that you are banking with a well established and highly renowned global brand. This particular payment method is deemed as being one of the safest methods possible. As each prepaid card is loaded with funds and has its own unique PIN, you’re the only one who is able to use the funds loaded onto it. You won’t ever have to enter any payment details online, and it’s basically just like using a mobile phone top up card. Since its launch in 2000, Paysafecard has made it possible for people to pay online as safely as paying in cash. With the expansion then over the next 19 years, Paysafecard has now become available internationally and is now one of the world’s market leaders for prepaid solutions. The company behind Paysafecard is based in Vienna, Austria, and was founded in 2000 as paysafecard.com WertKarten AG. The following year the company then launched in Germany, and in 2005 Paysafecard received EU funding subsequently then launching the company in Slovenia, Greece Slovakia, Spain and the United Kingdom. In 2007 Paysafecard had completed more than 10 million transactions worldwide, and over the next few years the company branched out to the USA and Mexico too. 2011 saw the launch of the Paysafecard smartphone app, then over the next few years the product expanded even more and is currently now issued in 46 countries across the world. In 2018 the company launched a brand new innovative product called eID. It’s a mobile digital identification function where new Paysafecard customers have the option to register themselves securely using identity cards and related PIN’s. These brand new authentication methods work within seconds and without costs for the customer, while complying by the highest security standards to date in the company’s history. 2000/2001 – Paysafecard officially launches in Austria & Germany. 2002 – Paysafecard develops from a physical card into an e-voucher as well. 2005 – Paysafecard receives EU funding. 2006 – The product expands across Europe and the UK. 2007 – The Paysafecard brand has made more than 10 million transactions. 2008/2009 – The product is launched even wider across Europe, and a Mastercard license now entitled Paysafecard to issue Mastercard products too. 2010 – Paysafecard launches in the USA and Mexico. 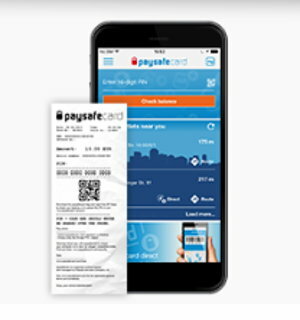 2011 – The Paysafecard app is launched for smartphones, laptops and mobile tablets. 2012 – The product is launches in Turkey, Croatia, Hungary, Italy and Canada. 2013 – This year saw the launch of my Paysafecard. This is an online system where customers can manage all cards in one place. The company also joined the Skrill Group in late 2013 too. 2014 – The company launches in Peru and Uruguay. They also launch the first prepaid Mastercard product. 2015 – Paysafecard expands to New Zealand and Kuwait. The company now also becomes part of the international Paysafe Group. 2016 – Paysafe direct is launched. This is a product that allows customers to now top up using a barcode directly from a PC or smartphone. 2017 – The company now expands to Brazil and the United Arab Emirates too. 2018 – Identification function eID is launched. Paysafecard currently operates in 26 different currencies across 46 countries throughout the world. The company continues to grow and evolve every year, and the types of Paysafecard products are becoming more and more innovative by the day. Paysafecard is such a popular form of payment with online bingo players cross the UK these days. You don’t need an account or any form of banking or card details in order to use the card, so there’s no registration process and it’s almost as easy as using cash. The Paysafecard is simply a prepaid card, that you can purchase from thousands of locations throughout the world. It’s exactly the same as a mobile phone top up card, and it works with pretty much the same principles. You can purchase Paysafecard in either a physical card format from an official Paysafecard Vendor throughout the world, or you can choose to buy an e-voucher online. Both come in values ranging from £10 – £100, and once purchased you will receive a unique 16 digit PIN code to then spend online. The only difference with purchasing an e-voucher, is that you will have to then enter payment details online in order to buy it. When it comes to using the card to fund your online bingo account, the process honestly couldn’t be simpler. Just select the Paysafecard option as your preferred payment method when making a deposit, and you will then be transferred to a Paysafecard application. You will next need to enter your unique 16 digit PIN code, and then select the amount that you wish to deposit. This amount will then be deducted from your Paysafecard, and instantly added to your online bingo account. Purchase a Paysafecard at one of the official locations or online as an e-voucher. Decide an amount to put on the card ranging from £10-£100. Login to your online bingo account. Select the Paysafecard option to fund your account. Enter the 16 digit PIN code when required. Your bingo account will now be funded, and you can start using the funds straight away. You can’t make withdrawals via the use of a physical Paysafecard. However if you do buy an e-voucher and register online, then it’s sometimes possible to withdraw funds back onto that account depending on the rules of the individual bingo site. There are no additional fees or charges when using a Paysafecard for online bingo. The only charge that you will incur is the purchase of the card itself. Making a deposit with a PaySafeCard is also instantaneous, so you don’t need to wait around for any funds to be transferred. Just make the deposit, refresh your online bingo account, click back onto your bingo banking section, and then the funds should be ready and waiting for you play with. There aren’t many restrictions when it comes to using a Paysafecard for online bingo. The only downside really is that you can only make withdrawals if you purchase an Paysafecard e-voucher online. Some online bingo sites won’t have this as an option however, so it’s always best to check with your preferred online bingo platform before playing. Another restriction worth mentioning is that cards can only be purchased in certain denominations, and you can only purchase up to £100 of funds on one particular card. There is no limit however to the amount of Paysafecards that you can purchase at one time. Paying online using a Paysafecard is an extremely safe and secure payment method to use. It’s almost like you’re using instant cash, so therefore you won’t have to enter any personal or banking details when making a transaction. It’s still always important to look after your PIN’s however, and you should always still be wary when using any forms of payment online. If you want to use other Paysafecard tools such as their online accounts and services too, then you will need to be cautious with passwords and emails etc as you would with any payment choice. Only ever purchase and enter any PIN details at authorised Paysafecard outlets. 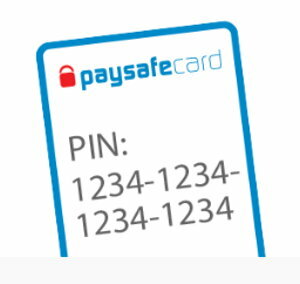 Never pass on a Paysafecard PIN via telephone or email. If you notice any suspicious activity in your account then you should immediately request to have your account locked. Government authorities, institutions, law firms or the courts are not authorised web shops. Whether it’s on your computer or by phone, never comply with any demand to pay a fine or reminder fee with Paysafecard. Payment by Paysafecard is extremely popular with thousands of online bingo players across the globe. It’s super easy and accessible, and the perfect option if you prefer not to enter any personal details online. The only downside to using a Paysafecard, is that you can only purchase in certain denominations up to £100. Apart from that, and the fact that it’s not always possible to withdraw via the card, payment by Paysafecard is generally a really great choice. You can purchase a Paysafecard at over 650,000 official authorised outlets across the world. You can also purchase a Paysafecard e-voucher online. You won’t need to enter any personal or banking details online when using a Paysafecard. It’s one of the easiest and most secure forms of online payment. You have the option of registering for a Paysafecard account online to keep all PIN’s in one place. There are no additional charges or fees involved when using a Paysafecard for online payment. Payment is instant with a Paysafecard PIN, therefore you can use funds straight away as soon as you upload the card. Withdrawals are available via Paysafecard now, but it’s worth noting that this is only through the online Paysafecard website. Only a handful of online bingo sites allow this option. The company have been in operation for just under 20 years now, therefore giving you the knowledge that you are using a well trusted brand. Nearly all online bingo sites accept Paysafecard these days. You will never need to worry about any credit/debit card information being shared as you won’t have to enter any when using a Paysafecard. Paysafecard is almost as simple and as fast as using cash. The Paysafecard app is really easy to use, and helps you keep all your PIN’s and online payments in one place via your smart phone, laptop or tablet. The customer service team are on hand 7 days a week, and there are several different ways of contacting a member of the help desk. All in all, Paysafecard is a brilliant way to fund your online bingo account. It’s fast, efficient and very simple, plus you can play games in the knowledge that you’re not sharing any banking or personal details online. It’s pretty much the same as using cash but via the internet, and it allows customers to top up all over the world. The only thing to bare in mind is that it’s not always possible to withdraw via a Paysafecard, so you will therefore potentially have to set up another payment method to withdraw any winnings. It may be possible to withdraw via a personal Paysafecard online account, however always check with individual online bingo sites to see if it’s an option.